Pamper yourself in the shower or bath with our Spa Bars. These soaps are fresh and clean and remind you of the ocean. 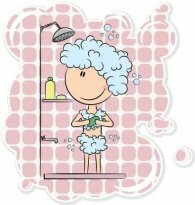 Try showering with this wonderful treat and see what it can do for your skin. Just like sea water! Soap made especially for the spa. Consists of glycerin and Dead Sea Salt.